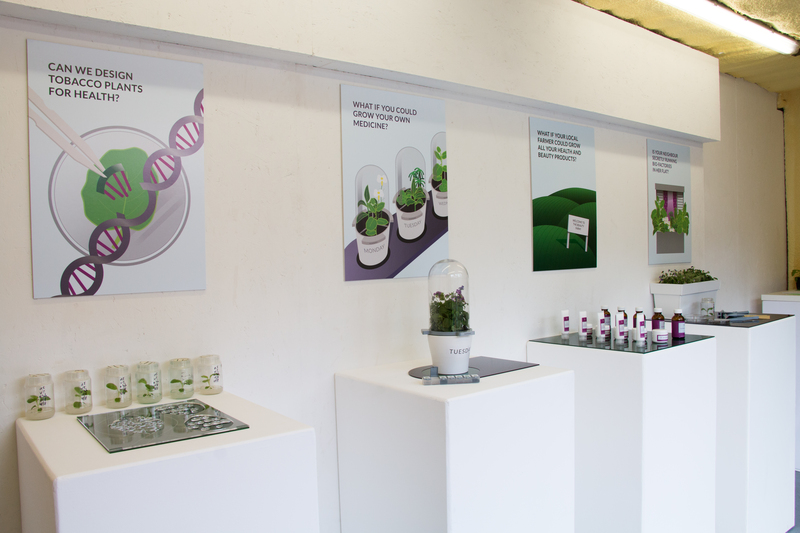 Last month we had the great opportunity to join Open Cell’s “Biodesign Here Now” at London Design Festival, presenting “Plant Designer” from 15 – 23 September, 2018! We showcased the aims, goals, and cutting-edge technologies used by two large European research projects (Newcotiana and Pharma-Factory) to allow tobacco plants to produce substances that are, in fact, healthy for you. Our exhibit and speculative scenarios brought up questions such as: What if your local farmer could grow the medicine you need? What if plants could become biological factories that produce substances and molecules needed in everyday life? And if you could do it, what kind of plant would you design? Walking around Open Cell we met other creators and filmed a series of interviews, to share our impressions of this vibrant space with you. Start here by watching the clip portraying “Plant Designer” or go check out the whole playlist. Newcotiana and Pharma-Factory have received funding from the European Union’s Horizon 2020 Research and Innovation programme under grant agreements No. 760331 and No. 774078. 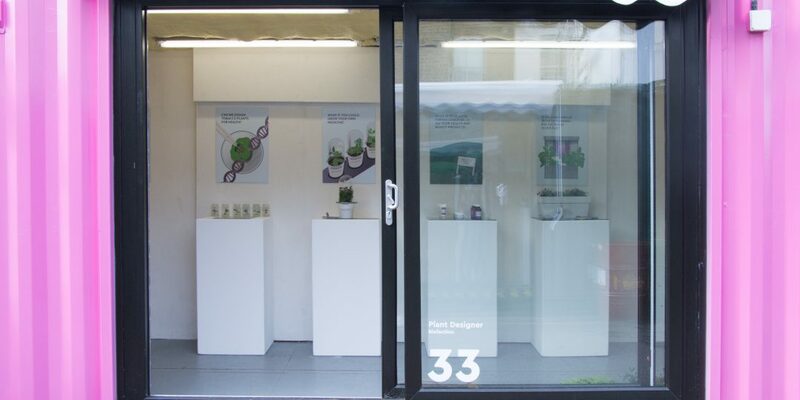 Plant Designer – A Biodesign Here Now exhibition at the London Design Festival 2018 Produced by Biofaction KG Austria, St Georges University of London and LCC University of the Arts London. MycoSynVac presents synthetic vaccines at the European ParliamentWatch how eForFuel is producing biofuel from electricity and CO2!